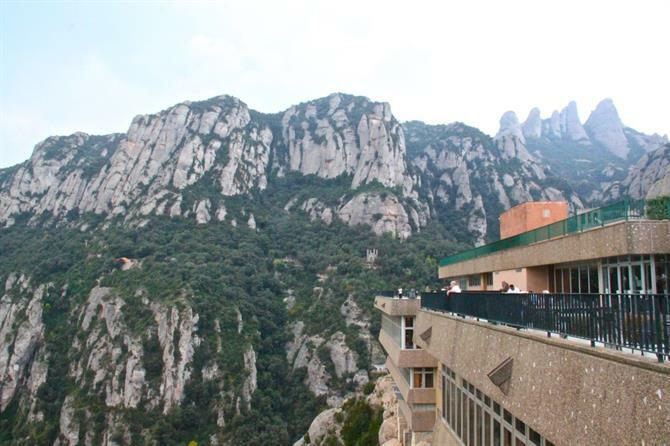 From the Catalan language meaning, “serrated mountain”, Montserrat is a stark contrast from the nearby metropolis of Barcelona. The city is energetic, vibrant and outgoing. 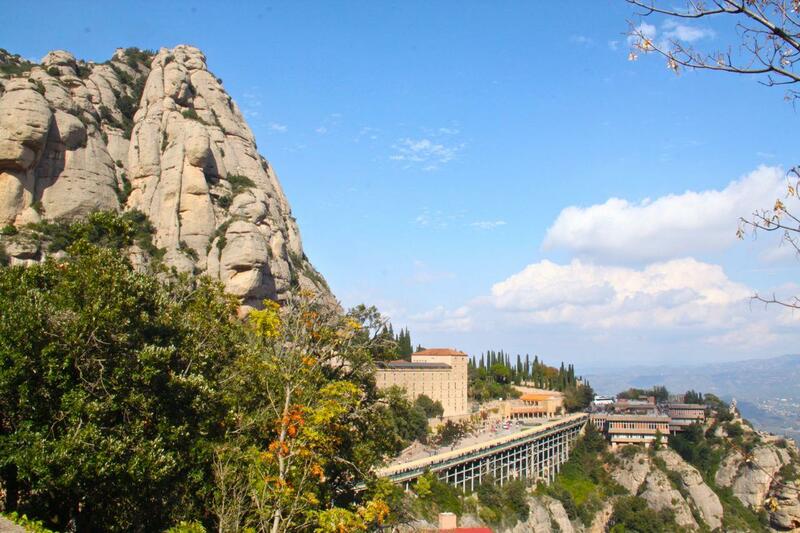 Montserrat is relaxing, serene and introspective, one of the best day trips from Barcelona. The mountains are also known to be a special, mystical place for the local Catalan people. It’s home to the statue of the Virgin Mary of Montserrat, who is believed to perform numerous miracles, attracting millions of visitors from all over the world staying in Barcelona city. 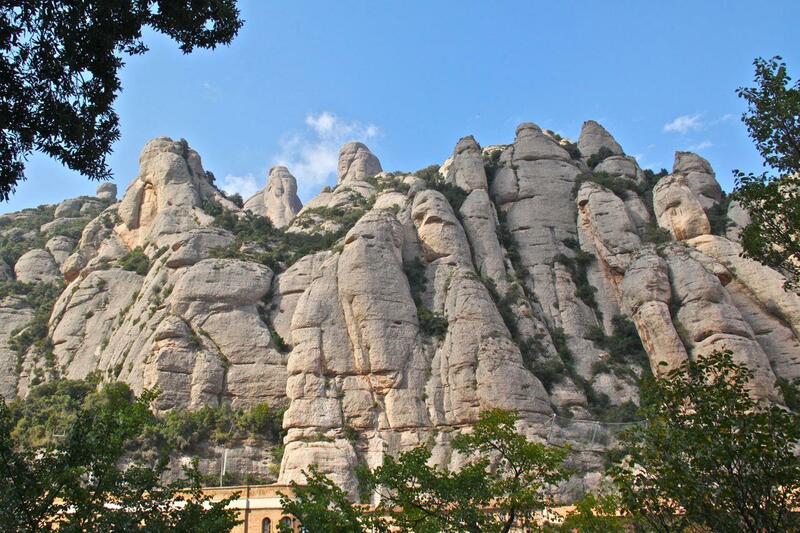 Montserrat, Barcelona also attracts hikers and rock climbers who seek adventure. The numerous hiking paths and sky-high mountains offer breathtaking views. But really, it's for any tourist or local. The lofty, bulbous formations make you gaze and wonder how nature was able to create such peculiar beauty. Rent a holiday home in Montserrat and discover it's ancient history and religion, dating back when Romans constructed a temple to worship Venus. The area later became tied to Christianity as hermit monks built several hermitages around the mountain. In 1025, the Santa Maria de Montserrat monastery was built and began attracting pilgrims, who witnessed and proclaimed the miracles performed by the Virgin of Montserrat. In 1409, the monastery became an abbey. It expanded in size and eventually became a cultural centre, which included the Montserrat Music School. The Monastery was destroyed and abandoned during the French War in the early 1800s. 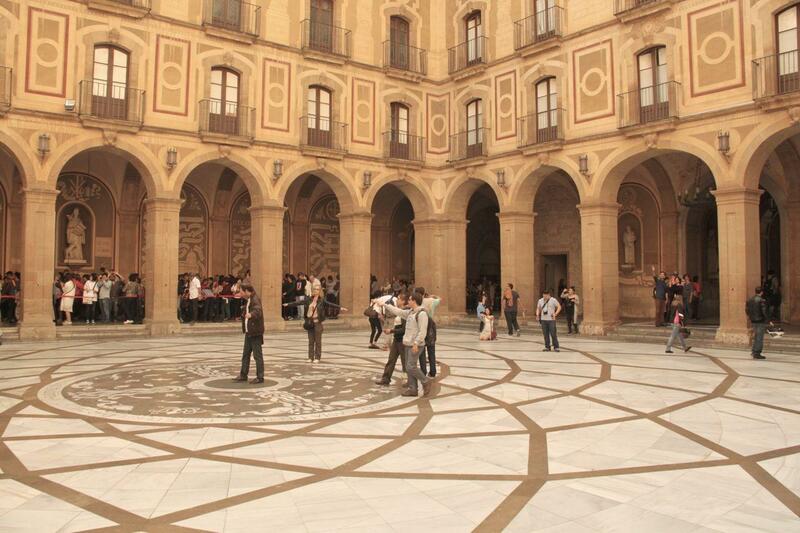 However, it was rebuilt again, but then became a place of religious violence during the Spanish Civil War. It was saved and recovered by the Catalonian government. Santa Maria de Montserrat Abbey enshrines the famous statue of the Virgin of Montserrat. She sits at the top of the altar, where people form long queues along the side to pay her a visit. The basilica is dark and solemn. If you’re not a religious type, it’s worth seeing the Gothic architecture, which is darkly lit by hanging lamps. The square atrium in the centre has a beautiful open-air courtyard, which has a gorgeous marble floor with Latin inscription. For nature explorers, Monsterrat has several footpaths and trails, ranging from easy to difficult. Some footpaths are wide and well-paved, so you can even take small children. The easiest route is from the monastery to Degotalls. The trails have signs you can follow, so you don’t have to worry about getting lost. Along your walk, you may see several stations of religious statues and sculptures. If you’re daring, you can try hiking on the most difficult route to Sant Jeroni, the highest point in Montserrat, which is 1236m high. It’s about a 5-hour hike, but in the end you get rewarded with a 360º views of Barcelona and Penedes. And on a clear day, you can see as far as Mallorca. You can also go mountain climbing — if you’re adventurous like that. The funicular is a short 7-minute ride, but it elevates you up to 1,000m above sea level. It’s also the steepest funicular in Spain. You’ll see stunning views of the monastery, the Pyrenees mountains and the picturesque countryside below. If you don’t want to bring a picnic lunch, there are several restaurants around the monastery area. 1. Restaurant Hostal Abat Cisneros. This restaurant has a charming dining area, which is set in a beautiful, curved stone interior. It serves Catalan cuisine and is ideal for small groups. An average lunch is about 35 euros. 2. Restaurant Montserrat. A restaurant serving Mediterranean food, Restaurant Montserrat is convenient for large groups. Look for signs that say “Mirador dels Apostols”. A huge plus: it has even more breathtaking panoramas of the mountains and the Llobregat valley. 3. La Cafeteria. With an open-plan seating, La Cafeteria is a casual place to have lunch. Although there are two floors, this restaurant can be really crowded that you can’t even find a place to sit. They have a self-service area for sandwiches, chips, soft drinks and on-the-go-type food. But head to the “canteen” if you’re looking for a warmer meal. 4. Bar de la Plaça. This is a small bar — typical of what you’d see around Barcelona. They serve hot and cold sandwiches, pastas, hamburgers, alcoholic drinks and coffee for a quick pick-me-up. Tip: you may have to compete for the waiter’s attention at the bar. With so many visitors over the decades, exploring Montserrat has become one of the most popular day trips from Barcelona and easier to reach and it has many forms of transportation available. Even just getting there gives you great views of the mountains. Barcelona’s FGC (Ferrocarils de la Generalitat) train leaves from the Barcelona-Plaça Catalunya station every hour. The train trip is about 1.5 hours, so the earlier the better. 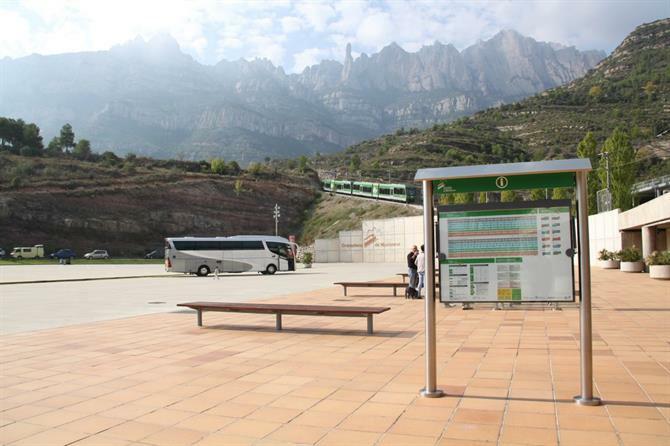 You can also take the R5 line, which is also connected to the Montserrat aeri (cable car). This is recommended for thrilling and breathtaking views, but it’s not for people afraid of heights! You can also take the cremallera (rack railway), where you get an amazing panorama of the valley below. Although the road is quite winding, it might be worth doing if you want to arrive quicker than other modes of transport. 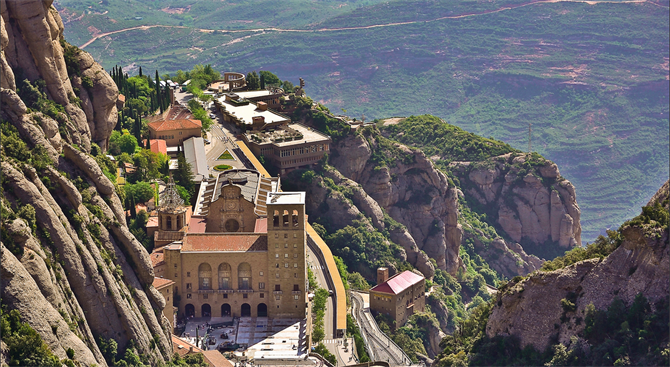 If you want to park at Montserrat, parking spaces at the monastery are limited. However, you can also park at the cable car or rack railway station, which has plenty of spaces available. You can also go with Autocares Julia, a private bus company. Buses depart from Carrer Viriat near the Sants train station. Visit the official Montserrat website, which is pretty comprehensive. 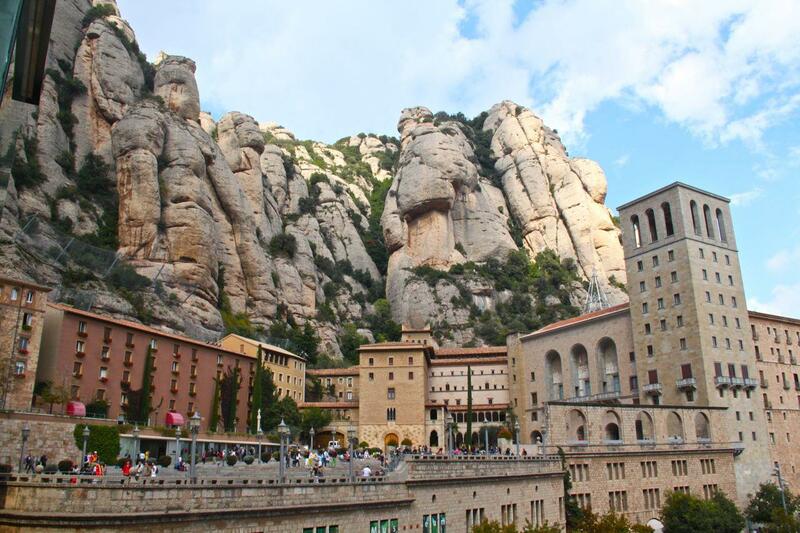 Then head to Montserrat for the ideal day trip on your holidays to Barcelona. Life's a beach in Sitges! The ever popular town of Sitges in Catalonia boasts not one, but 17 different beaches, to suit even the most discerning holiday maker!